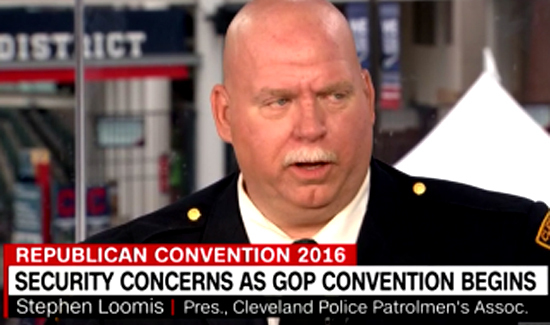 The head of Cleveland’s largest police union is calling on Ohio Gov. John Kasich to temporarily restrict the state’s open carry gun laws during this week’s Republican National Convention following Sunday’s shooting in Louisiana that killed three officers and wounded at least three others. State law in Ohio allows for licensed firearm owners to wear their weapons in public. With the exception of a small “secure zone” inside and around the Quicken Loans Arena, residents, delegates and protesters are legally permitted to walk around the city — including within its 1.7 square mile regulated “event zone” — any firearm not explicitly banned by the state.